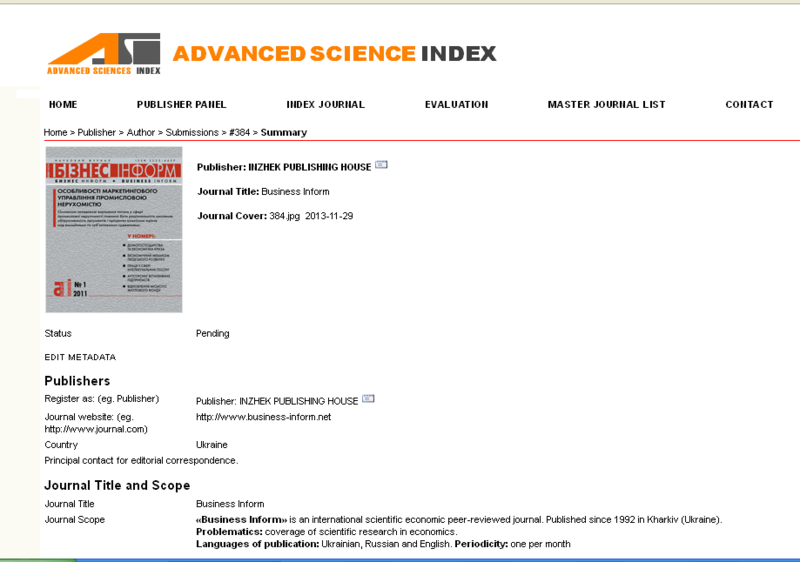 «Business Inform» Impact factor RSCI 2012 = 0.007. Place in rating SCIENCE INDEX for 2012 under the theme "Economy. Economics" - 94 (of 412).